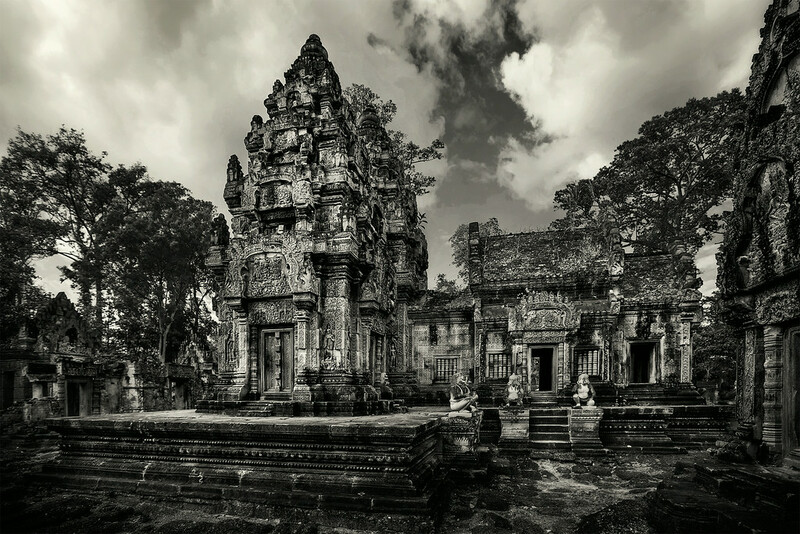 Banteay Srei is often cited as one the favorite temples amongst visitors to Angkor. The red sandstone is intricately carved and it is one of the best preserved and restored temples that you can find in Cambodia. That being said the structures are small when compared to the other edifices in the area and that is where it falls short in my opinion. Not that it isn't beautiful, it is amazing, but I don't feel either the sense of awe or antiquity that I felt at the other temples. It is amazing but perhaps it is the perfection that I object to, I like my temples flawed, eaten by the jungle, a little more mysterious and dangerous. Banteay Srei is just to serene for me.